Our company enjoys a reputation for quality construction, outstanding service and contributing to the local economy. We realize that a great company cannot live on economic objectives alone, and we believe that the CORE VALUES at Heritage have been our keys to success. These values, combined with quality, consistency and service are the reason Heritage Building Corporation is here to serve you. These values also form the foundation for successful growth. When you are ready to build a new home or building, call the innovative, award-winning construction firm of Heritage Building Corporation. 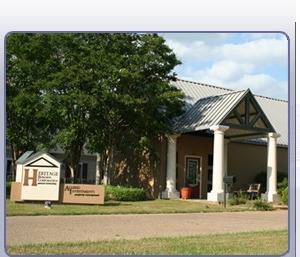 Heritage also builds custom office or business space for lease to fit your specific needs. With more than 50 years of construction experience and now in its second generation, our family-owned company has worked with many Mississippi and Alabama clients, creating memorable living spaces that exceed the client’s expectations. From concept to finish, Heritage has worked as a team with clients to design buildings to fit unique needs, in an efficient, cost-effective way. For a respected and trusted construction firm, call or email your specifications and location. We will be happy to discuss your next building project. If you are interested in leasing a HOME or COMMERICIAL building, please tab over to our property management section. Our commercial properties available for lease are diverse. We also have two, three and four bedroom homes, townhouses and duplexes available.